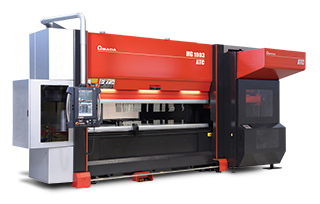 AMADA’s HG servo/hydraulic press brake and Automatic Tool Changer (ATC) provide the optimal bending solution for high-mix, low-volume production. The HG ATC Series is an advanced system that achieves precise and economical bending results even in lot sizes of less than ten. The ATC performs tool changes quickly and precisely — eliminating costly delays associated with manual tool changes. As a result, you can can triple or quadruple your number of bending setups per day. The ATC is equipped with 18 magazines for dies and 15 for punches — providing the flexibility to accommodate rush jobs seamlessly. Now, complex tool layouts can be precisely loaded in three minutes or less. 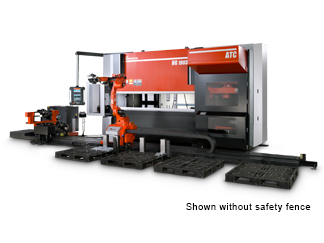 The HG 1303 Rm Robotic Bending System was designed specifically for processing large parts — which typically require two operators to safely handle or are difficult to manage by a single operator. This automated bending system provides consistent, high-quality parts and process reliability while eliminating time-intensive, manual handling of large parts. 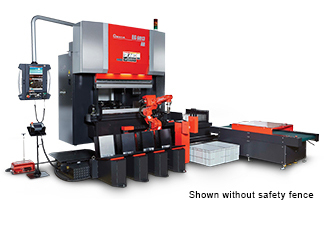 The HG ARs is a fully-integrated robotic bending system with a 6-axis robot, Automatic Gripper Changer (AGC), and Automatic Tool Changer (ATC) with patented AMADA tooling. 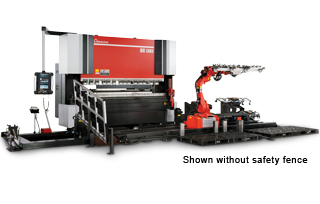 Each stage of the bending process, including tool loading, gripper exchange, and robotic bending are all performed at fast speeds to maintain high levels of unmanned machine productivity. The EG 6013 AR is designed specifically for high speed bending of small complex parts, the whole system is designed for unmanned production of any volume size or part mix. Equipped with the world's first twin servo electric drive mechanism, the EG AR offers high speed and high accuracy bending, with lower power usage and a compact footprint. 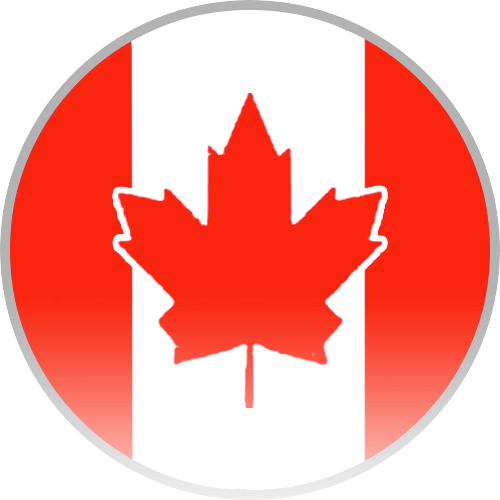 Features such as automatic angle measuring, offline programming, multiple part load/unload stations and an automatic tool changer all add to the systems impressive list of production capabilities.